Major gratitude for having a GPS today. For the 1st time since we moved to the city, I found myself having heart palpitations. Several times today, I missed my turn and ended up who knows where and not knowing how to get back to my original destination. One way streets, congested streets, tons of pedestrians...so many obstacles that I had to contend. I'm usually really good with directions and keeping track of which way is north south east or west. So when I find myself not knowing where I'm at or where I'm going, I get anxious. But thankfully, I had my handy dandy GPS to help get me back on track, avoiding those one way streets and giving me the chance to breath again. Phew! 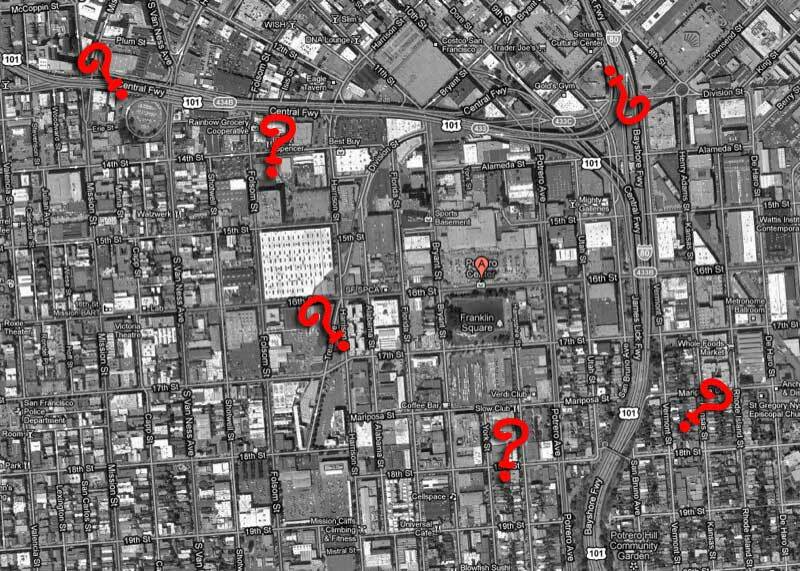 And next time I venture to those parts of town, I'll know which lane to be in and which ones to avoid. Also thankful for a new recipe. This is another one my friend Monica recommended. 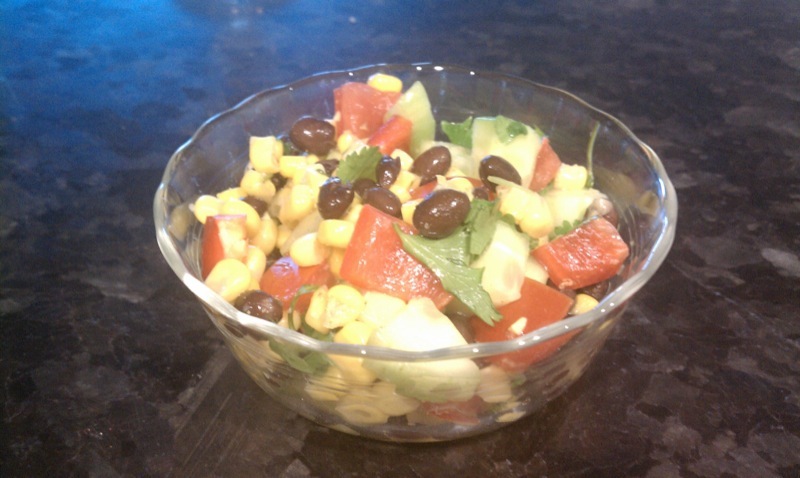 In a large salad bowl, combine corn, cucumber, onion, bell pepper, tomato, and cilantro, if using. In a small bowl, combine vinegars, lemon or lime juice, garlic, cumin, coriander, and cayenne. Pour over the salad and toss gently to mix. I added 1/2 can of rinsed black beans and omitted the onion. If you don't like cilantro, try regular parsley instead or leave it out all together. It's tart from the dressing, but sweet from the corn. Absolutely delicious and refreshing! You'll be surprised at how timely this post is, Mad, because just this past weekend Astrid and I drove to Münster, Germany, and wished like the dickens we had had a GPS. On the way home we decided that's what we'll get each other for Christmas this year! It'll sure help with the stress levels in the car. HA! That salad, BTW, looks like one I would really enjoy, so I am gonna try it. THANK YOU. Just remember to update your GPS regularly. There are stories here of drivers blindly following the GPS instructions and not using their common sense and driving into a swamp or up a muddy farm lane etc. Not too many swamps or farm lanes where you live though, so you should be pretty safe.